When children teach children, it’s not just about knowledge being shared, but also about cultivating world citizens. Teaching each other is an act of kindness, and a way for children to practice helping others around them. 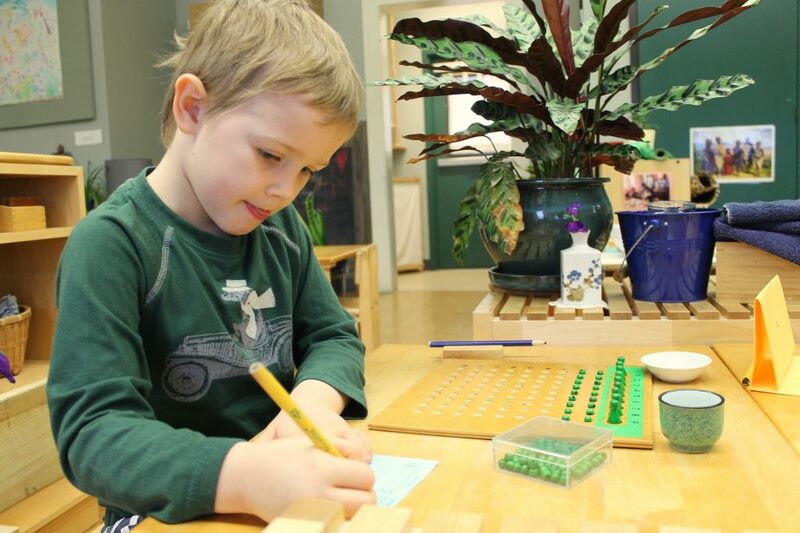 In Montessori classrooms one of our greatest tasks is to keep the fire burning inside children’s minds. We structure our work so that children may follow their passions and learn deeply about things that matter to them. We see each child as an individual and think one-size-fits-all educational approaches tend to extinguish the joy of learning. Frequent and standardized testing starting at a young age. Teachers assess through careful observation and record-keeping. Assigned seating, often at desks arranged in rows or small groups. Flexible, child-chosen seating, with options for individuals and groups, using both tables and the floor. Use of external rewards, including praise, sticker charts, prizes, and grades. Reliance on internal motivation, or the belief that the joy of the work itself is all the motivation the child needs. Offering beautiful, compelling materials will draw the child’s attention without the need for unrelated rewards. The teacher is the head of the classroom. The children are the main focus of the classroom. The guide delivers lessons unobtrusively and stands aside when the child is able to learn independently. Main goal is to deliver a standards-based curriculum. Main goal is to cultivate curious and empathetic world citizens and lifelong learners.